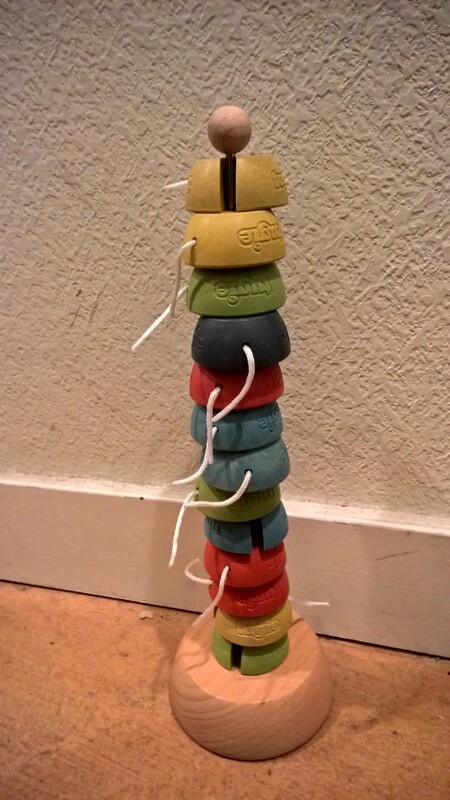 This week we take a look at a number of toys that combine imagination and fine motor skills. As readers of this column know, we’re big fans of building systems. But not every child shares that particular passion. 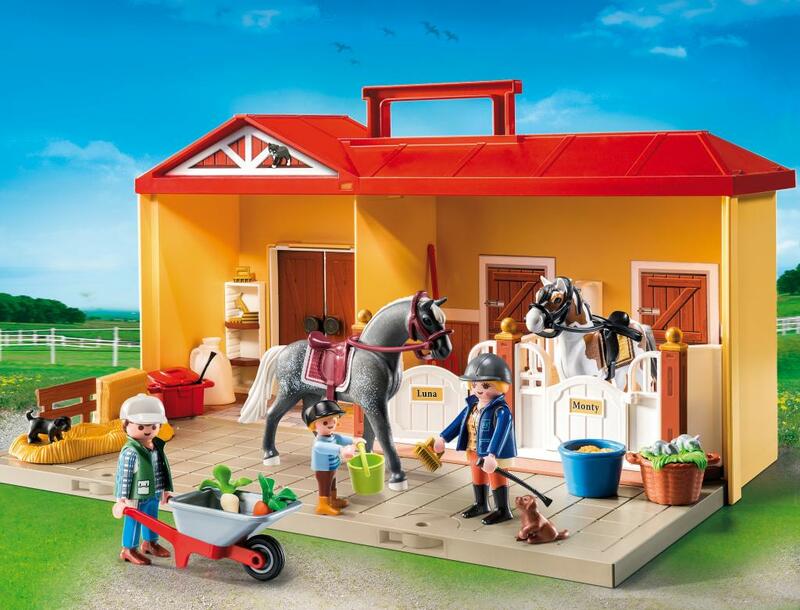 This colorful, realistic set is perfect for the child who doesn’t mind putting a few pieces together, but would much rather spend his or her time getting the horses fed, groomed, exercised, and ready for to ride. The 81 pieces include two horses, three humans, a couple of dogs, a wheelbarrow for delivering food (or removing horse manure), scrub brushes, and more. The barn itself turns into an easy-to-carry case so your little equestrian will be able to pack up the whole thing and take the show on the road (or just back to his or her room). Ages 4-10. $35.53 at Amazon. Like the Horse Farm, this set doesn’t require much building, but that doesn’t make it any less fun. 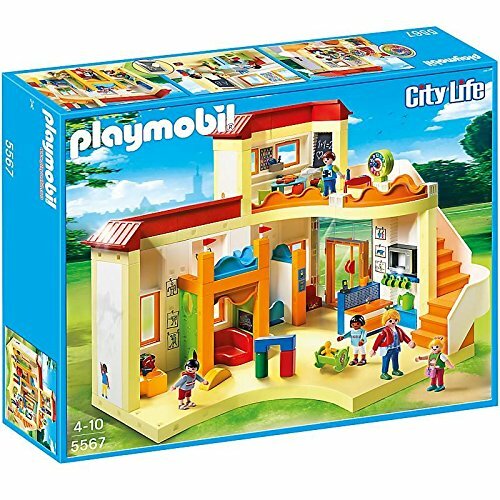 In fact, with 394 pieces, there’s almost no limit to the number of entertaining, home-related scenes a creative boy or girl can concoct. The setting is, as you might guess from the name, the Sunshine Preschool, and the kit includes one adult figure, four children, and a dizzying array of accessories: a music area complete with instruments, a climbing wall, a clock with moveable hands, backpacks, pencils, paintbrushes, a coffee pot, mugs, a chalkboard, two toilets, and a lot more. The only risk is that after spending time at the Sunshine school, your child may refuse to go to his or her own preschool—Sunshine is definitely a hard act to follow. Ages 4-10. 394 pieces. $99.99 at Amazon. 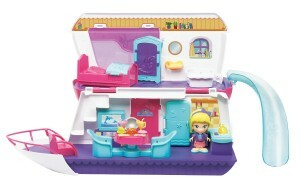 Sandy is just one of the Flipsies, collectible dolls that are designed to inspire the little girls who play with them. Sandy wants to be a marine biologist, and each of the other Flipsies has her own unique dreams. Carina’s on her way to medical school, Styla runs a fashion boutique, Eva wants to be a veterinarian, and Clementine has a thing for ice cream. All of the Flipsies (each is sold separately) can switch clothes, accessories, and even hair. But what’s especially fun is the MagicPoint locations that are in each Flipsie’s habitat. Put Sandy in one of the MagicPoints on her Ocean Cruiser and she’ll tell you something nautical. Put her into a MagicPoint in Styla’s salon, and she’ll tell you something that’s appropriate for a budding biologist with a strong sense of style. Ages 4-9. Prices vary, depending on the kit. This one is $56.62 at Amazon. 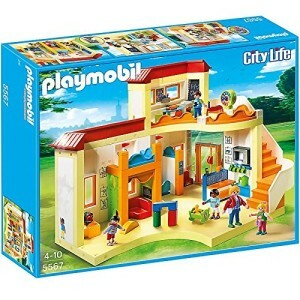 This entry was posted in Reviews and tagged build, coordination, creativity, playmobil, tugie, vtech on August 14, 2015 by Parents@Play Team.